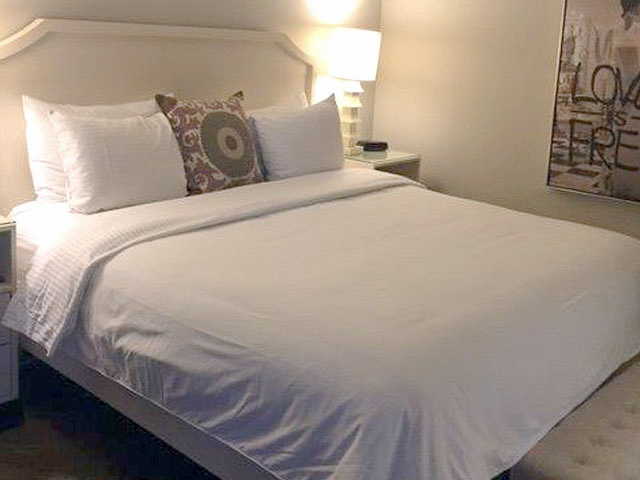 Contemporary and individually decorated, each of Hollywood Hotel’s smoke-free guest rooms and suites offers complete comfort without sacrificing our classic style. 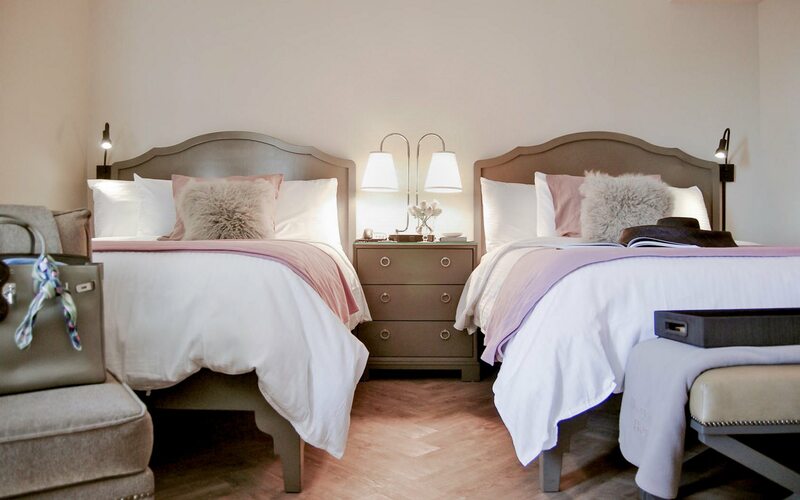 Highlights include custom-designed furnishings, private baths with lighted vanities, and luxurious Poggesi bath amenities. 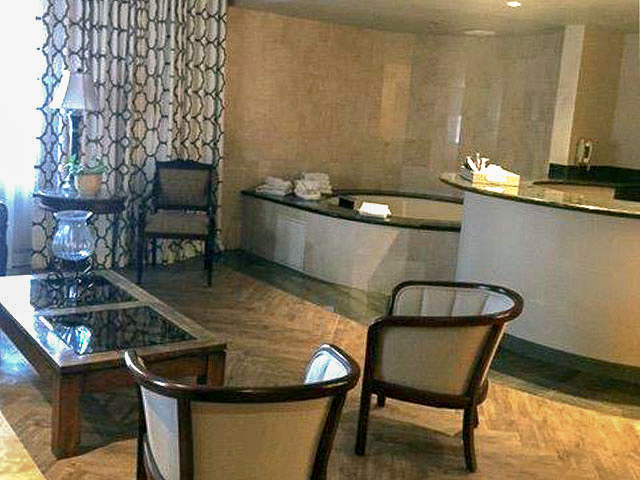 Experience Old Hollywood glamour for a budget price at our time-honored Los Angeles hotel. 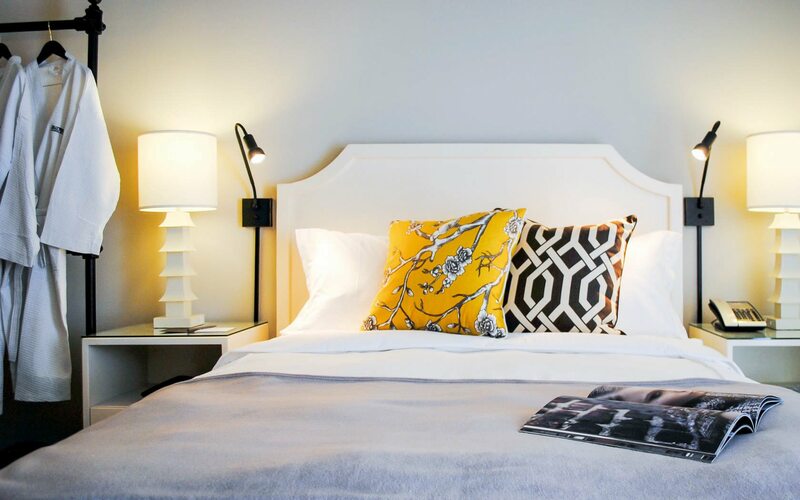 The Luminary King reflects modern-day luxury with Chinoiserie-inspired decor. 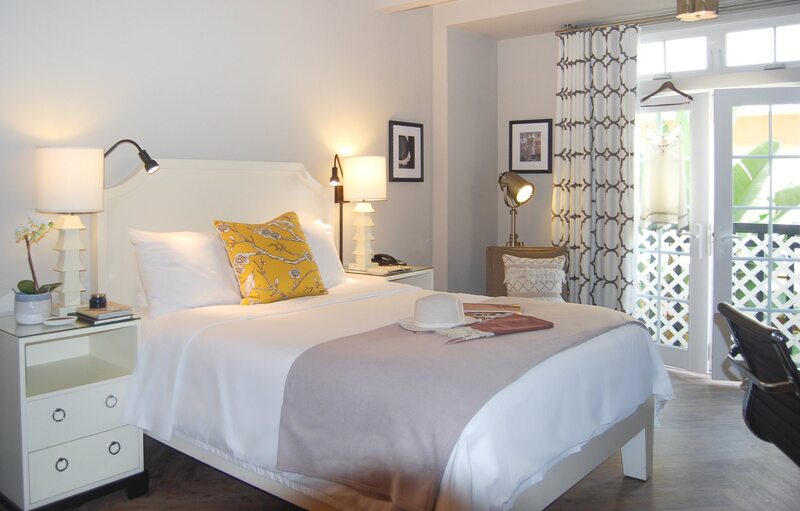 Guests will enjoy a king-size platform bed with plush white linens, an upholstered chaise lounge and ottoman, and noise-reducing, dual-glazed windows. 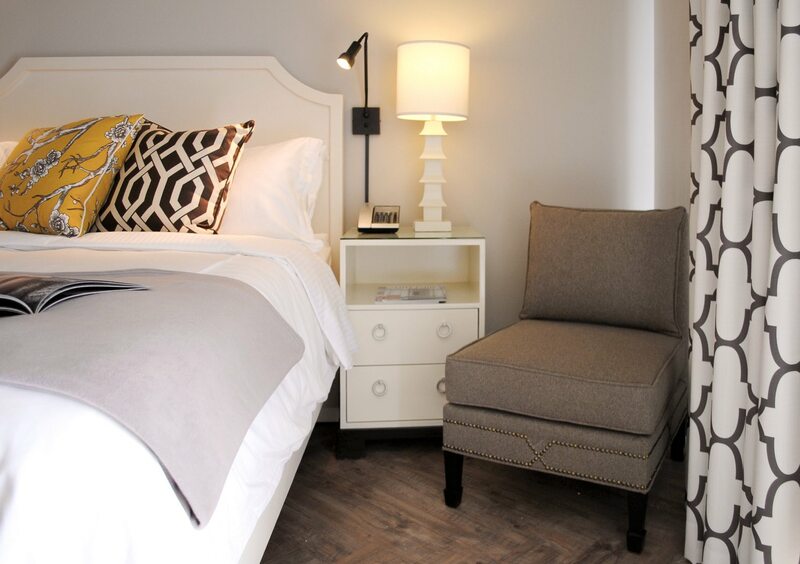 Our Luminary Queen features every accouterment imaginable, including a lavish queen-size platform bed, a private French balcony, and a stylish mosaic tile bathroom with walk-in shower and lavish bath amenities. Unwind in our cozy, Chinoiserie-inspired Starlet Queen room, featuring a plush queen-size platform bed, high thread count linens, and dual-glazed windows for reducing exterior sound and noise. Perfect for families or friends traveling together, the Starlet Double Queen features two queen-size platform beds, our trademark cozy white linens and duvet, fine upholstered furnishings, and more. 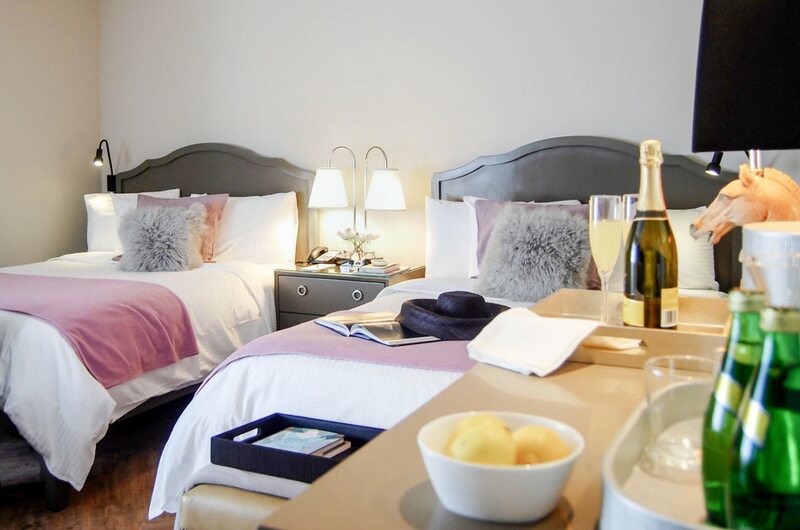 Experience true contemporary comfort in our Luminary Double Queen, with two queen-size beds, a private French Balcony, and a spacious bathroom with a walk-in shower, sitting bench, and Poggesi bath amenities. 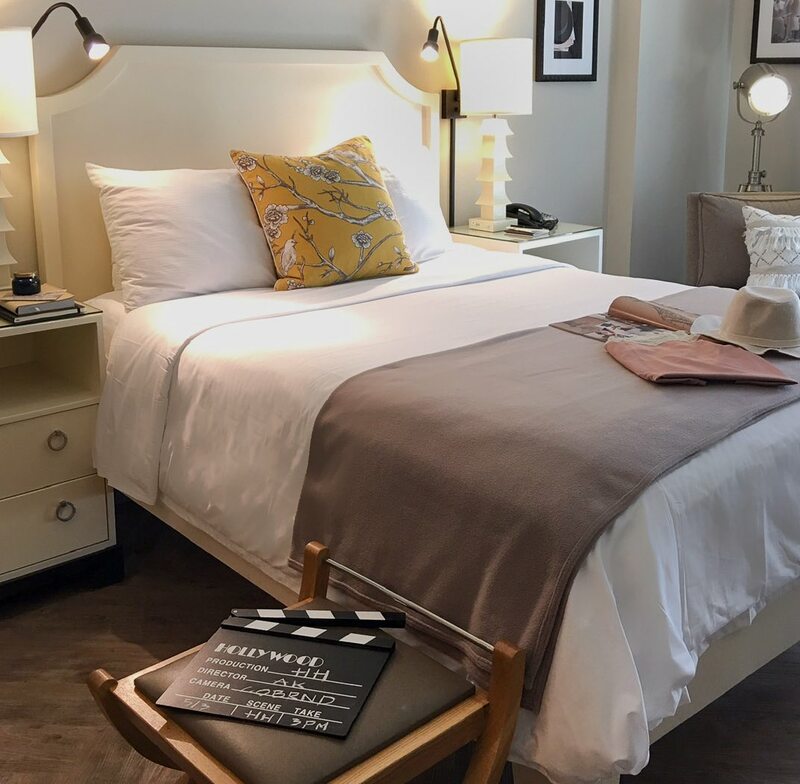 For those who seek a truly divine Hollywood experience, look no further than our spacious Silver Screen Jacuzzi Suite, featuring a king-size platform bed, a separate seating area, an en-suite bar, and—of course—a Jacuzzi spa. 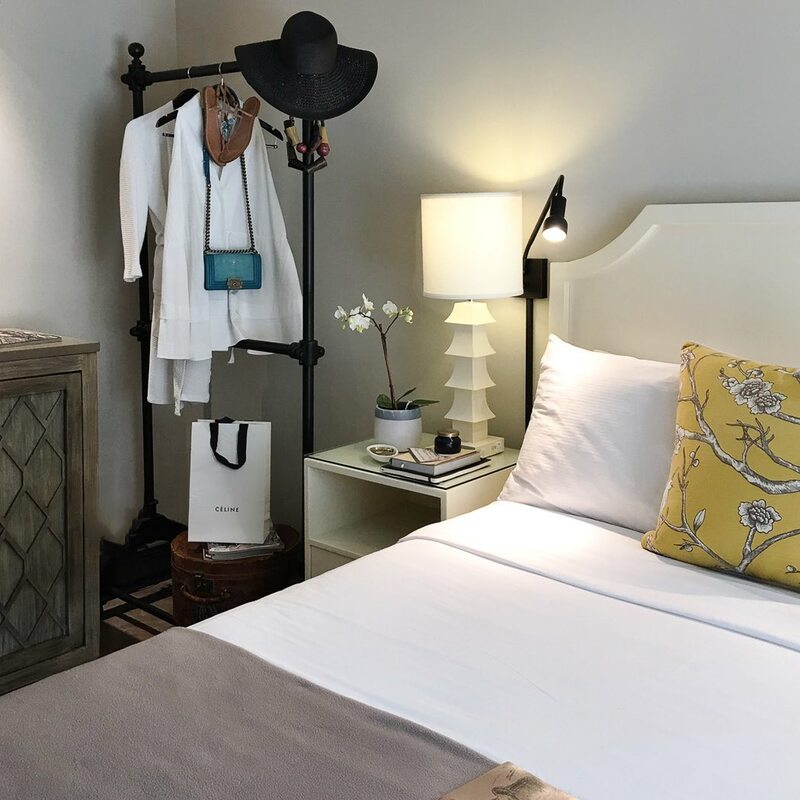 Spacious and artfully decorated, the Silver Screen Junior Suite comes with a plush queen-size platform bed, a personal refrigerator and microwave, and even more of our signature Hollywood Hotel accoutrements.